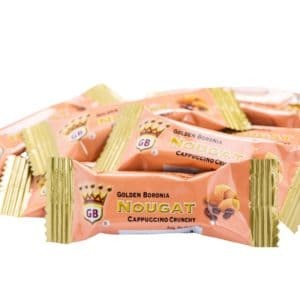 Golden Boronia Apricot Soft Nougat is made with the natural goodness of apricots, honey, almond and golden corn with absolutely no artificial colouring. 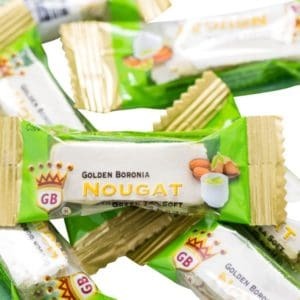 The result is a delightfully tasty nougat with a tantalising aroma that is locked in until the very last minute. 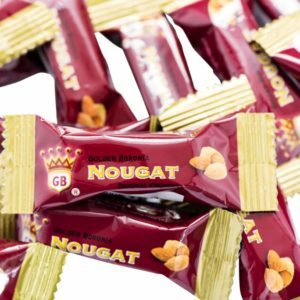 This quality, richly textured confectionery breaks all the traditional boundaries of taste. 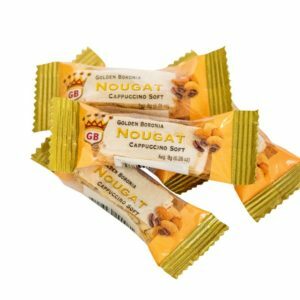 Apricot Soft Nougat is delicious on its own and goes especially well with a cup of coffee. 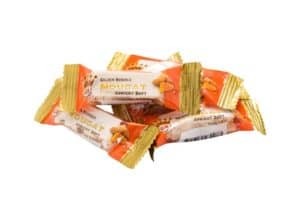 Best of all, it is cholesterol free.